When you Google “trade show giveaways” two of the top related searches are “trade show giveaways under $1” and “cheap promotional giveaways”. While the price tags look appealing, choosing cheap promotional giveaways will not move the needle for your trade show ROI. The abundance of trite, cheap promotional giveaway items on the trade show floor is disappointing. 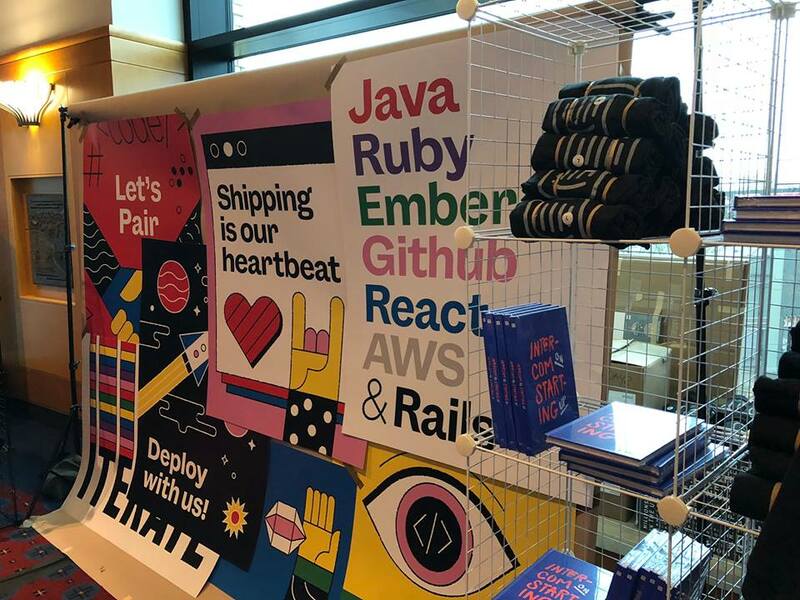 Like a table littered with tortilla chips at a potluck, there’s zero originality, despite the golden ROI opportunity the right trade show giveaways can present. When you think of classic promotional giveaway items, you probably think pens, magnets, bottle openers, and other mass-produced, half-hearted gestures. While these serve the purpose of giving your brand presence inside the prospect’s house, office or car, they usually end up in the garbage before they ever leave the conference. Put aside your plans to buy thousands of pens, tape measure business cards (yes, we’ve seen them!) and even that iPad, and use these tips to maximize your ROI with memorable conference and trade show giveaways. You get what you pay for. Buying cheap promotional giveaway items tells prospects you’re not willing to invest in your brand. Sure, it’s great you remembered to print stickers, but no one will be impressed by your ability to meet the minimum swag guidelines. There’s no chance of standing out when you take the cheap route. Plus, your team is likely to be uninspired by the swag they have to give away. Keep your impressions positive and have a proper budget for a swag creative strategy and execution. You’re clinging to the cookie cutter options. Again, think about how your trade show giveaways reflect on your brand’s approach to business. To stand out on the trade show floor, you have to provide value that distinguishes you from the competition, and that includes your swag. Everyone is going to have coasters, everyone is going to have those rubber smartphone holder/wallets, and every guest is going to toss those in the trash. You’re making foolish bets if you’re banking on leads from forgettable items. Generic swag attracts generic audiences. We get it, pens and drinkware are simple, usable, and hard to get wrong. Tech swag is also picked up like candy. Though, it’s not necessarily about how easy it is to get rid of your giveaways—you might be the only booth gifting iPads, but everyone wants an iPad. There’s no guarantee any of those new iPad owners will become customers. The issue here is with the size of your net. If your swag doesn’t feel special or custom, guests won’t remember you because they weren’t personally affected by the product. By using the same trade show giveaways as everyone else, you’re not targeting or attracting your buyer. Taking the opportunity to make prospects feel special with swag will help you stand out and with hundreds of thousands of attendees, brands need to maximize their originality to be seen through the chaos. Someone’s Trash is Another Person’s…Trash People can recognize junk when they see it, and they certainly don’t have an obligation to remember you if you don’t provide a valuable promotional giveaway. Enough with the trash trinkets that fall apart before you ever leave the floor, and instead spend your time and money coming up with something prospects can either enjoy immediately or store for later use. Research indicates people are much more likely to use a promotional item if it’s actually useful. Does anything stand out on this table? To us, it’s all just a bunch of plastic that will soon be thrown away. Now that you know what to avoid, implement these methods to take advantage of conference and trade show giveaways in ways that will impress your prospects. 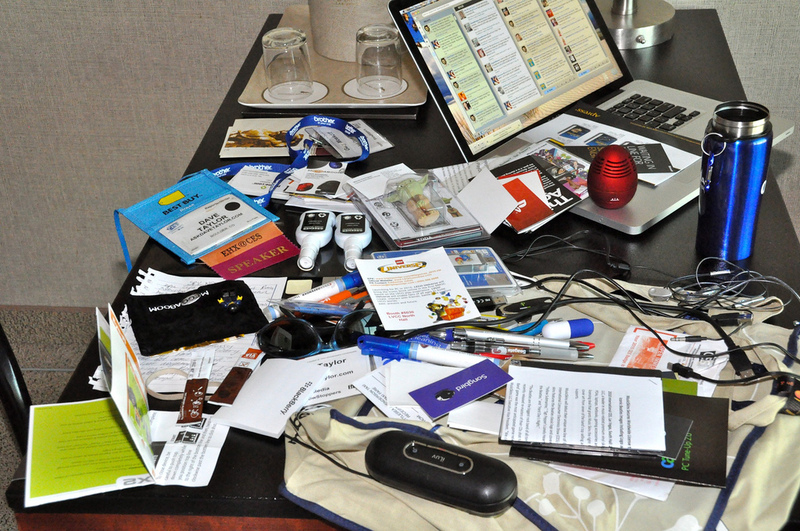 Trade show swag is an excellent tool for giving personalized attention to prospects. A good philosophy is to spend $100 on a personalized gift on someone you know is going to convert rather than spending $1 on 100 pieces of cheap trade show swag that will likely end up in the trash. Start with what makes sense with your brand, your values, and what you’re known for. If your company values work-life balance, maybe it makes sense to share some of that company culture and do a workout class before the trade show floor opens at a boutique fitness center. This definitely creates a bond and increases your chances for more personal and gratifying interactions with prospects. Remember: quality always supersedes quantity, so keep this mind when planning gifts for current clients and leads. A major part of the conference and trade show experience is face-to-face interactions, so put some thought into how the swag or individual gift is given to prospects. Integrate tools like Thnks to send personalized gifts at scale. This great app has gifts that range from a flight upgrade to mindfulness trackers and beyond. For example, after every meeting we had at Exhibitor Live, we used Thnks to send each individual a Starbucks latte, as there was a store close to the expo hall. With Thnks, sending a gift with a personalized note takes less than 20 seconds and it’s really helped us stand out. Do your research long before the event so you understand your target buyer before you invest in promotional giveaways. Be sure to also review your current clients and leads individually for gift inspiration. Study their LinkedIn, Twitter, and Instagram accounts to gather an understanding of their interests. If your leads frequently post about new recipes or travel destinations, aggregate this data into a spreadsheet and look for patterns. This way, when you buy swag in bulk, it is backed by data. Adding immediate value could be as simple as connecting two leads that should know one another, or introducing a lead to a great local meeting spot. While some of this immediate value will be given in the moment, you can prepare for some small things. Stock your first-aid kit with blister blockers and single dose ibuprofen and become the champion of the afternoon in an instant. Follow in the footsteps of Intercom and give away copies of your fresh content. If the quality of your content is stellar, include it in your pre-trade show marketing strategy and encourage people to register to receive their free copy at the booth. Strategize how you will be remembered after the trade show. The dream would be to be so memorable that your prospects eagerly reach out to you the day after the event. Help them get there. Design your trade show giveaways around a call to action to guide your prospects to take the next step. Make your call to action so compelling that your prospects can’t wait to reach out. The best trade show giveaways start by understanding your target buyer at every conference and trade show. Avoid the pitfalls of bad swag by leveling up your research, budget, and strategy. Focus on looking beyond plastic products and focus on trade show giveaways that provide real value to your prospects and treat your swag as an opportunity to increase ROI rather than something you have to do.